The West Thurrock-based team headed for the Northamptonshire circuit eager to fight back from a tough weekend at Knockhill, with drivers Ollie Jackson and Sam Smelt targeting points around the short National layout. 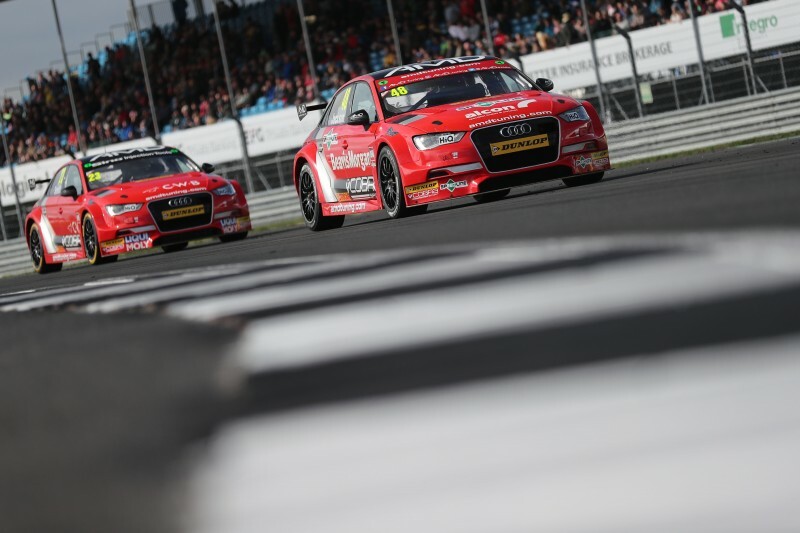 The gremlins would continue in the final race but proved to be the least of Ollie’s problems when contact between two drivers ahead meant he had nowhere to go when the BMW of Stephen Jelley was suddenly sideways in front of him at Luffield. “It’s fair to say that I’m not happy heading away from Silverstone because poor driving standards have affected both of the Audi drivers this weekend. It’s something that needs to be looked at because incidents like those Ollie and Sam have encountered are completely needless, and the result has been damage to both of our cars and a large repair bill at the end of it.